A tomato club founded more than a century ago has blossomed into a beloved tradition in Cleveland County, where members tend their community like a garden. The old country school triggers memories from childhood. Longtime friends Jean Ann Privett, 78, and Mary Jane Seagle, 80, sit in the former lunchroom, remembering school days and playground fun. While they played “jumping plank” — a seesaw-like game — their moms were inside, learning new ways to improve the lives of their families. Most women in the northern Cleveland County farm community of Belwood looked forward to meetings of the home demonstration club. Led by a county extension agent, the sessions were a welcome outlet in rural areas where opportunities were limited. Located between Shelby and Morganton, Belwood has a population just under 1,000 and has never had a stoplight. Motorists on NC Highway 18 zip past town limit signs, scattered homes and a few businesses, rail fences, and open fields, all without a glimpse of a well-defined town. They miss the closest thing, tucked about a mile off the main highway: a crossroads, anchored by a church, a convenience store and grill, and the remainder of the 1926 Belwood School. Much of the building was demolished in the 1970s, but the old lunchroom remains, an all-purpose community room where the Belwood Extension & Community Association (ECA) continues to meet. Farming is still important in the area, but many longtime residents now commute to jobs elsewhere. Even though the dynamics have changed, Privett and Seagle are convinced that the ECA still plays an important role in helping keep the community strong — just as it has since its earliest days. 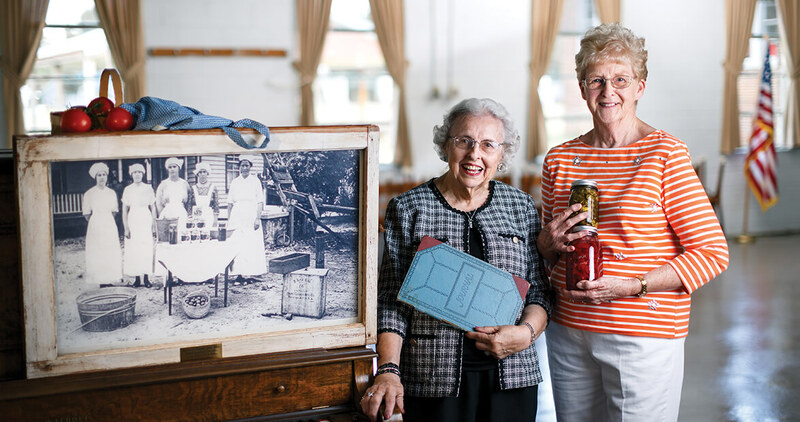 The group’s roots go all the way back to 1915, when it formed as a girls’ tomato canning club. In 1918 it evolved into the first home demonstration club. By the early 1940s, when Privett and Seagle attended the Belwood School, the club’s mission had expanded beyond canning to programs on practical household matters such as upholstering furniture and making mayonnaise. The two girls had little interest in the club then. But that changed as they got older. Today, both are active in the Belwood ECA, possibly the oldest continuously operating former tomato club in North Carolina. Besides being around for 102 years, the club has another distinction: Many members’ mothers, grandmothers, cousins, and aunts were also active in the club. And most of the current members grew up together. 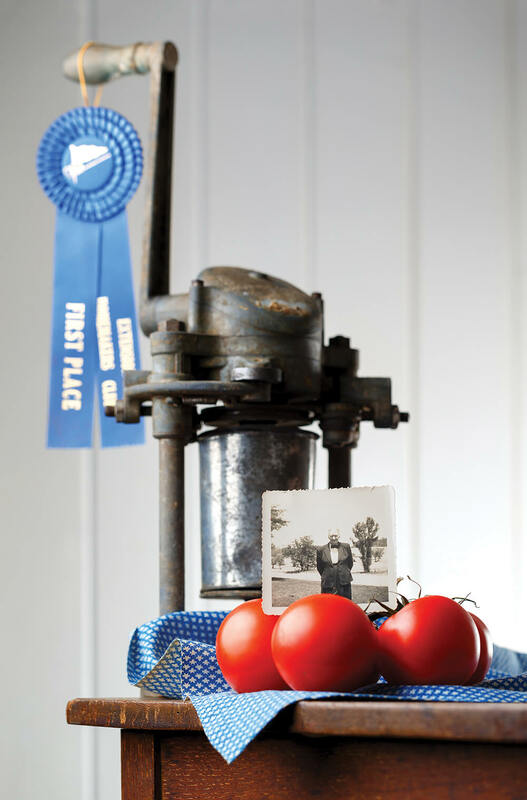 By the time the Belwood group was founded in 1915, tomato clubs had been sprouting up around the state for at least two years. The mission was to teach farm girls and young women how to grow and can fruits and vegetables in their own homes. Home demonstration agents helped members market their products, generating income for their families. The chief spokesperson for the clubs was Jane Simpson McKimmon of Raleigh, the state’s first home demonstration agent. She traveled the state, proclaiming the benefits of the movement. Ten-year-old Annie Warlick heard McKimmon speak in Rutherford County on July 4, 1914, and a spark of inspiration flared. Soon afterward, Warlick joined the Warlick Tomato Club (so named because it was organized in Warlick Township No. 10, and all the members were Warlicks or relatives). Eventually, the group’s name was changed to Belwood-Warlick and then to Belwood Club, where Warlick remained an active member for nearly 80 years, until her death in 2005 at age 95. Warlick grew up on a farm and liked working outside with her father more than doing household chores. Getting her hands in the soil made her feel more closely connected with the community. She knew all the families in Belwood; they all knew and trusted her. Club members looked to Warlick for leadership and guidance. Many of the minute books are still intact because she saved them, and the notes show a range of fund-raising and educational projects: The club staged plays and hosted bloodmobile visits. They held programs on food conservation, preparation, and freezing. One member gave a talk on teenagers. A supper for the Belwood Egg Producers Association brought in $30.50. A pillar of the club and community, Warlick stayed true to her mission of service. Age didn’t slow her. Mary Jane Seagle recalls how Warlick prepared 100 ham biscuits and carried them to a senior citizens meeting the day before she died. The Belwood ECA carries on in that same spirit. Members stay busy all year round. They collect greeting cards for use at the county’s Life Enrichment Center. Twice a month, they help at a local soup kitchen, bagging food for homebound folks, or stuffing boxes of nutritious food for elementary school children to carry home over the weekend. One of Jean Ann Privett’s favorite projects is volunteering with the Broad River Grandparents Raising Grandchildren Support Group. While the grandparents attend programs, the Belwood volunteers plan activities for the children, who range in age from 4 to 13. They read to the children and give them books to take home. At the last meeting, Privett brought tomato plants and a big bucket of dirt so the children could try working in the soil. Privett got her own hands in the dirt while working on the club’s first community garden, planted last summer with the help of Boy Scout Troop 413. The 70-by-40-foot garden was located at the edge of the woods, on rocky ground “where we had all kinds of varmints,” she recalls. One morning, she noticed little heads popping up in a nearby soybean field, and then, she says, “here came three or four wild turkeys — a mama and three little turkeys — flopping across the road.” Worms attacked tomatoes. Green beans failed. Watermelons made it, but then something gobbled them up. Still, the garden survived, producing 530 pounds of food that went to local food banks, soup kitchens, and the Foothills Farmers’ Market Foodshare program. Members feel their work is not only a contribution to the community, but also a way to honor their mothers and grandmothers, who started the tradition. Years earlier, the club had planted azaleas and a rosebush to beautify an unsightly area next to the Belwood Town Hall. Recently, the plot needed attention, so a few club members decided to trim, dig, and mulch the area. Privett found the task a little harder than years before. Then she saw 80-year-old Mary Sue Boyles standing in the back of a pickup, pitchfork in hand, tossing mulch, later saying she’d walked a mile afterward. Joe DePriest is a former reporter for The Charlotte Observer.